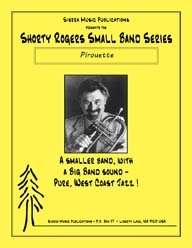 Shorty Rogers was very well known for his "nonet" charts (6 horns, 3 rhythm), and this was one of his best-loved compositions. 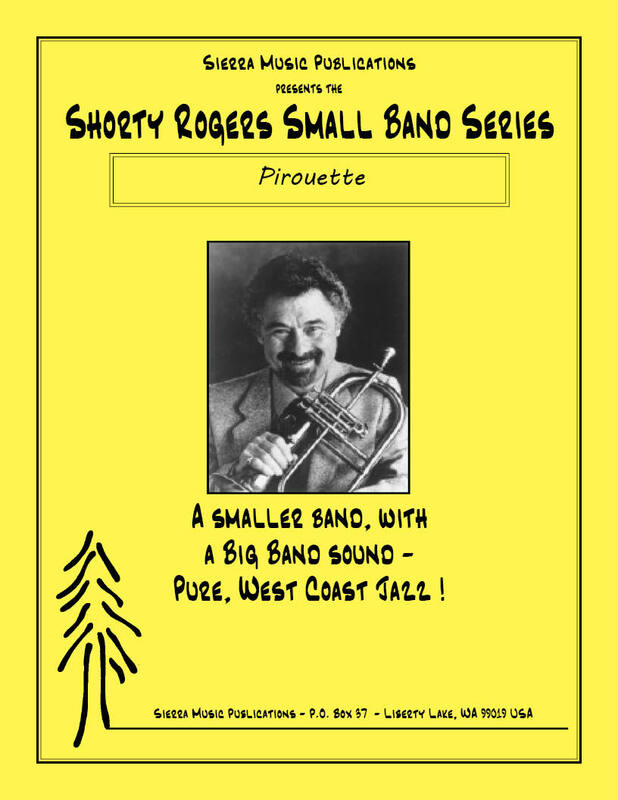 Set in an easy, slow swing, "Pirouette" has a lilting melody, along with a lovely counter-melody. This is a great chart to do on a big band concert to rest the band and feature your soloists. There is solo space for alto, tenor, flugelhorn, trombone and piano. (alto, tenor, barit. saxes, 2 flugelhorns, trombone, piano bass, drums).